Light, flexible cap for trekking. Combined G-1000 Eco in recycled polyester and organic cotton in the brim and mid section, with stretch fabric at the sides for the perfect fit without needing drawcords or other adjustments. 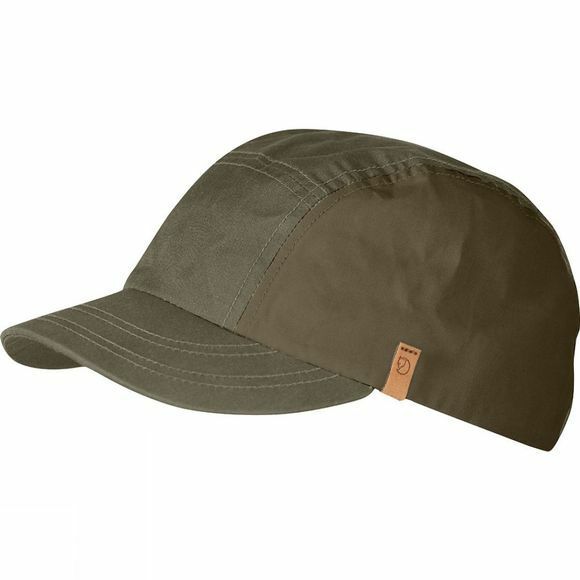 Short, stiff brim protects from the sun and is also practical in wet weather to keep rain out of eyes. Little folded leather logo on the side.